I know it sounds really bad, but no one ever advised me to start saving for retirement early. When I got my first job, I definitely wasn’t thinking about retirement. Throughout college, I was more focused on getting by and landing a good-paying job after graduation like most young people. 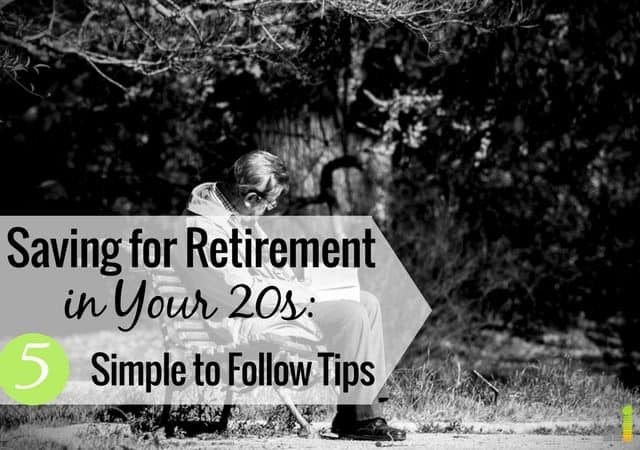 It wasn’t until I started learning more about personal finance and reading blogs that I realized retirement planning is actually a thing and early retirement is possible. I was shocked when I found out social security benefits will dwindle by the year 2034 and if anything is left it will not be enough to live on. Now, that I’m in my mid 20s, I notice my peers have a new focus on their finances and that usually involves getting married, growing their family, buying a house, traveling a ton or moving up in their careers. These are all great goals, but what about retirement? Retirement is decades away for young people, which is why it usually ends up pretty low on the priority list. To get started with retirement planning in your 20s, consider doing these five things. If you want to start saving for retirement early on, you first need to understand how compound interest works and use it to motivate you to keep saving. Compound interest is your greatest friend when saving for retirement because it will help you build wealth. Compound interest works quite simply; it’s interest earning interest, thus why it’s important to start as early as possible. The longer your money has to earn interest, the faster it grows – kind of like a snowball rolling down a mountain; the longer it rolls, the bigger it is going to get. Deciding to start investing in your 20s helps protect you from having to dump a ton of money into your retirement account later on when you decide you’re ready to stop working. Debt is an obstacle that tends to stop people from saving, let alone invest for retirement. High-interest debt like credit cards and auto loans are the worst as they are more expensive than student loans and mortgage debt. The first step should be getting a handle on your debt and making sure you can afford payments. Then, you need to decide how quickly you want to get rid of your debt. If your debt is eating up a significant amount of your disposable income, the best thing you can do is focus on paying it off quickly. If you’re struggling with high-interest debt, consider consolidating it to lower your rates, which will allow you to become debt-free sooner. Companies like Avant or LightStream can lower your rates by half, or more, so your payments are more effective. Some people with low-interest student loan debt or a mortgage decide to keep paying the minimum each month and use their extra money to save for retirement with the idea that they’ll earn a greater return on their money. I can understand and respect that decision, but at the end of the day it all comes down to your situation and what your preferences are. For me, I decided to pay my high-interest car loan off first. Then, I opened a retirement account and made small monthly deposits while I’m paying off the last of my student loan debt this year. Next year, I plan to start maxing out my retirement account since I won’t have any debt to hold me back. Ultimately, lowering the amount of debt you have is almost always a good idea and will help improve your finances. Without so much debt, you can put more money toward retirement instead. Next, you want to look into your options when it comes to opening a retirement account then take action by choosing one. As stated earlier, the sooner you open an account and start saving for retirement the better. I know people who have started saving for retirement at 19 years old and they don’t regret it. I got my first job at 17 and have no idea what I spent my money on that entire summer. I know if I would have invested a small portion of my earnings into a retirement account instead, that would have been much more beneficial for me today. 401(k) Plan or Pension – These two retirement options are offered by your employer who makes contributions to your account. Pension plans are less common and are being phased out but if your employer offers one, you should definitely start contributing to it. A 401(k) is also a great option if your employer offers it but sometimes you have to wait until you’ve been on the job for a few months to open an account and start contributing. The great thing about having a 401(k) is that your employer might match your contributions if you contribute up to a certain percentage of your income. Be sure to ask your employer if they provide a 401(k) match so you don’t miss out on this free money. Traditional IRA – If your employer doesn’t offer you any retirement benefits like a 401(k), you can consider opening an IRA which is an individual retirement account. With a traditional IRA, the contributions you make are tax-deductible and you enjoy tax-deferred growth which means you don’t pay capital gains tax. However, you have to pay taxes when you make withdrawals during retirement. Roth IRA – A Roth IRA is similar to a traditional IRA although this type of retirement account is funded with after-tax dollars meaning you won’t have to pay taxes when you withdraw the money. SEP IRA – A SEP IRA stands for a ‘simplified employee pension.’ This is an ideal way to save for retirement if you’re self-employed. You fund this account with pre-tax dollars. If you find investing overwhelming, or simply don’t know where to start, don’t let that stop you from saving for retirement in your 20s. There are options available to help you invest with confidence. Robo-advisors like Betterment can help you formulate your investing based on your goals. The best part is they’re inexpensive and require little to open an account – they even have most of the accounts listed above. Once you open your retirement account and start making contributions, consider contributing the maximum amount each year. The obvious benefit of maxing out your accounts each year is that the more money you put in, the more it will grow. However, there are tax benefits too and you may be able to reduce your taxable income as a result. To max out your Roth IRA or Traditional IRA, you can contribute $5,500 each year or an extra $1,000 if you’re over the age of 50 and would like to make catch-up contributions. With a SEP IRA, you can currently contribute as much as 25 percent of your income or $54,000 (whichever is less) per year. With a 401(k), you can currently contribute as much as $18,000 (plus an additional $6,000 if you’re 50 or older) to max it out each year. If you can’t afford to max out your retirement account(s) just yet, try to build up to that point in the coming years by contributing a little more each year. Some people want to start saving for retirement early, but can’t afford to make contributions. If that sounds like you, explore your options when it comes to earning extra money. There are many side jobs you can do both online and offline to earn extra money so you can contribute to retirement. Consider what your strengths and skills are along with the availability you’d have to do extra work. Even just putting in five hours per week doing work on the side can easily provide you with $500 you can put into your retirement savings account. Remember, the best time to start saving for retirement is always now. No matter what your age is, you’ll never be younger than you are today and you don’t want to miss out on the benefits of compound interest. No one wants to work forever even if you love your job, so commit to saving for retirement early so you’ll have less to do later. When did you start saving for retirement? What are some other ways you began saving for retirement? What have you done to max out your retirement accounts each year? Fortunately, when our son graduated and started his first “career” job, he was willing to listen to our advice about what benefits he should sign up for. 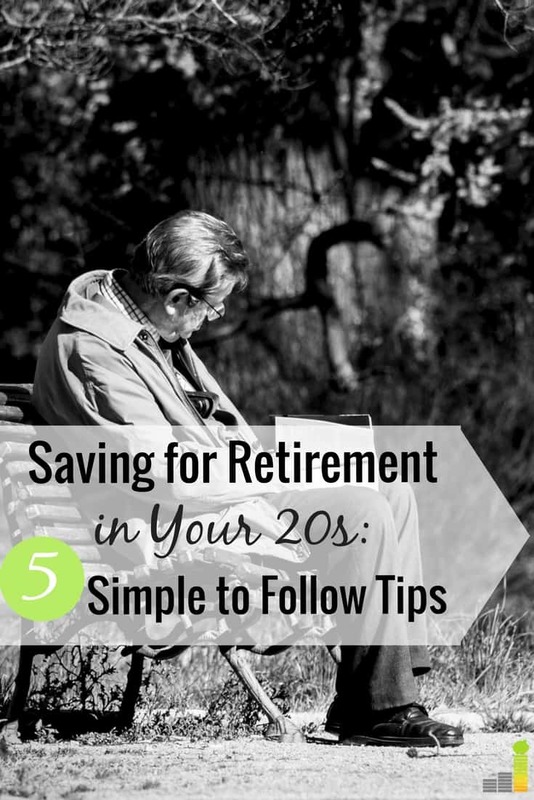 We instantly said “retirement plan” and he signed up for his company’s pension and the 401K. He maxed them out for a number of years until he decided to reduce the contribution by a couple of percent in order to save for a house. Now that he is married, I don’t ask him financial questions, but I’m relatively sure he is still contributing a significant amount. People today need to know that they cannot not to save for their retirement because we have no idea what the government will do with SS 30 or 40 years from now. That’s awesome that your son listened to you and got started early. And I agree, I don’t want to depend on social security either because what they’re predicting for the future sounds scary. One thing I noticed now that I’ve been in the work force for about six years is that it’s a really, really good idea to start immediately even if it’s small amounts. It does take quite some time for your retirement account to build up, especially if you are starting from zero and also paying down debt, but getting started right away can help you build it up. I have many friends and acquaintances who haven’t contributed anything and it’s tough for me to watch as I wish so bad that they would put SOMETHING in their 401k or IRA each paycheck, even if it’s $10! That’s a really good point. I find that it’s similar with saving money as well. People think they need to contribute some big impressive amount when it doesn’t have to be that way. This is a great article. Thanks Chonce! 1. I now put away the maximum amount in my 401K (5% for me) that my employer will pay into the plan as a match. It is free money and dumb not to do it. It was basically a raise I gave myself. 2. After calculating my expenses, I found that driving was my biggest expense. I fixed that by buying a fuel efficient car thats durable (Honda Civic), finding an affordable insurance policy for it ($25/month from Insurance Panda, yay! ), and using apps like Gasbudy/Waze to save money at the tank. I cut my transportation costs in half! 3.I cut way back on eating out. I am having a year of putting away money hard, and food was a huge portion of my budget. I save about an extra $100 a week now, and eat healthier and better. Ditto for others if you spend a lot of money in bars. 4. I need life insurance to protect my 2 daughters, but I ditched a $275 a month whole life policy for a term policy and now I only spend $10 a month. I save the difference to my Roth IRA. If you are unfamiliar with this and want to learn more watch shows or read articles from Suzey Orman or Dave Ramsey sometime. They are huge proponents. There really were no two ways about it. If I plan on having a full savings account (getting there) and a comfortable retirement (I will) I have to make good decisions with my money.